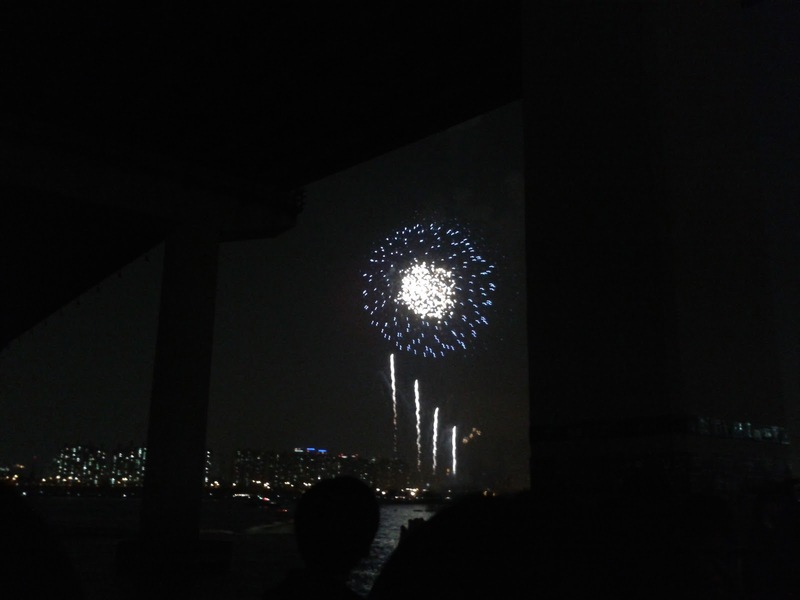 An annual event by Hanwha Fireworks. For this 2011 event, Japan and Portugal team also joined. Location : Yeouido Hangang Park 여의도 한강 공원 in front of 63 Building. 63 Building has seaworld, sky art gallery, wax museum, etc.. But i haven't explore it yet. 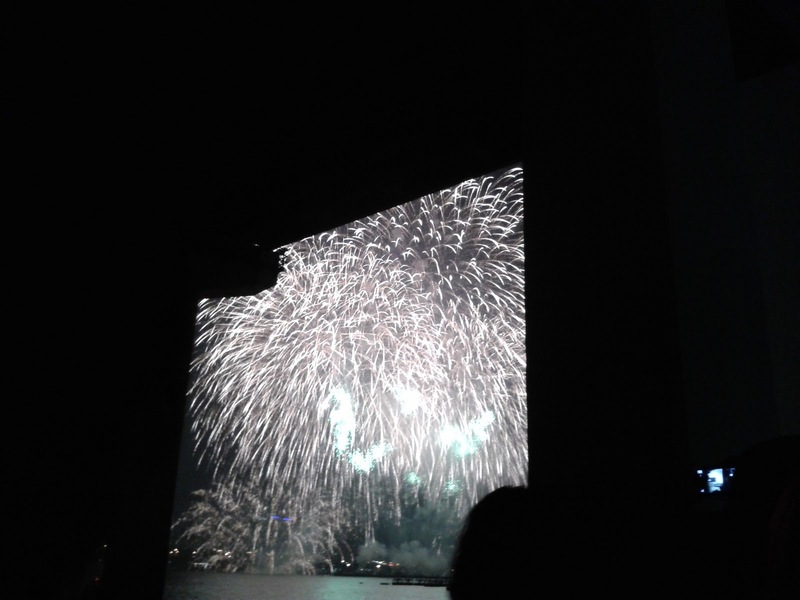 My position for viewing the fireworks is not that good.. But, i enjoyed the show very much .. 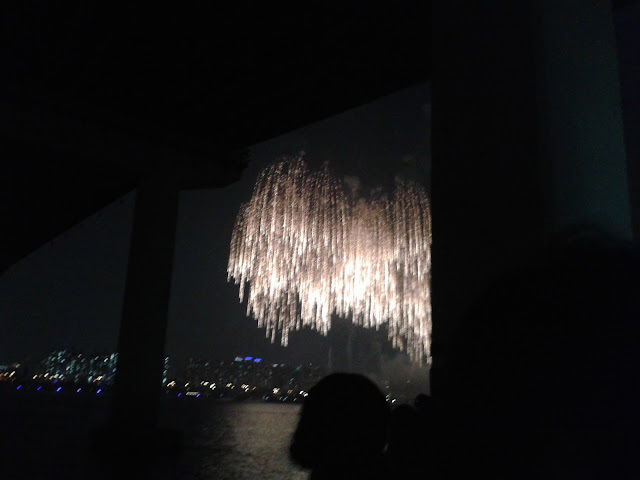 The best fireworks i have ever seen in my life, there are so many varieties of the fireworks.. This below picture shows my most favourite type of fireworks.. It is very beautiful... It goes down like a rain.. Try see this and this for some professional pictures of the fireworks! The show started at 7.30 PM and ended at around 8.45 PM. I had fun a lot.. I never watched fireworks for like an hour length of time! Uploaded a video! I uploaded this one because it has that one which is like "meteor shower"! It is really really beautiful! This is only a bit from the show .. I hope you enjoy watching the fireworks as much as i do! Following is the video uploaded by other person. You can see the "meteor shower" clearly. You can see how beautiful it is!